I am a low-fuss person when it comes to taking care of my skin. Not because I have a problem free skin , but because its extremely demanding. The combination acne prone skin is the most tricky one to take care of. Over the years, I have shortlisted the products that keep my skin sane. In short, I need a moisturizer, cleanser and BB cream to take me through the day. The more I experiment with skin masks/toners etc, the more it acts up. When I came across the Braun face epilator, I was resistant. I just felt this product might not be something I can incorporate in my regime for 2 reasons: 1. I have the fear of a anything that stings/pains. 2. 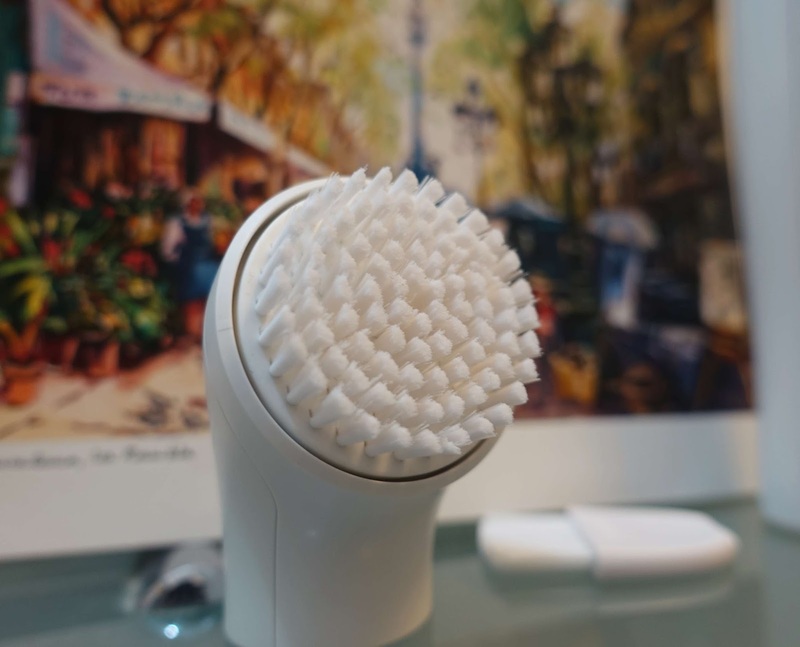 I wasn't sure if pore-cleansing with a brush would please my acne prone skin. However, the Braun team, just said one thing- Try it. You might be surprised. 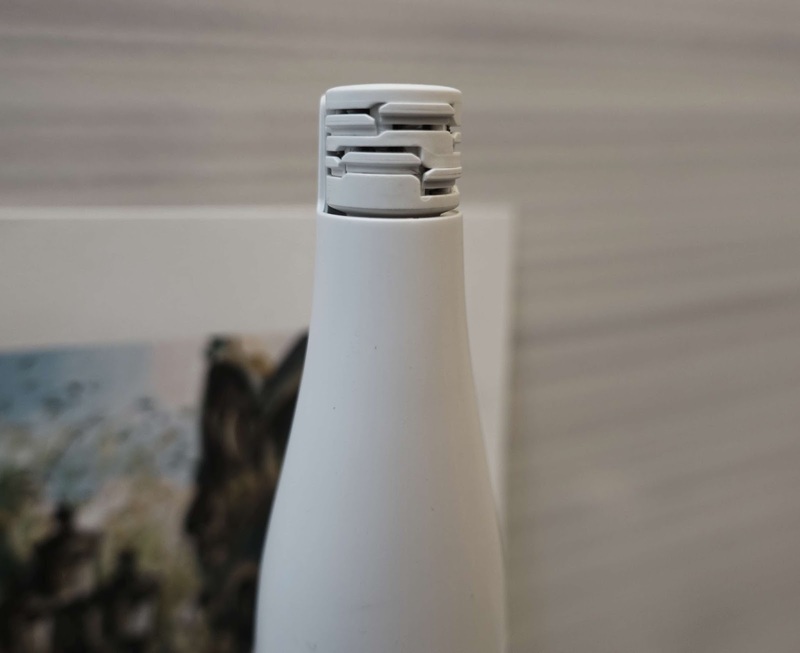 So , there I was holding the product with all inhibitions and least hopeful of it doing any wonders .But then, to make myself at ease, just like you are reading this review, I went on to read all beauty blogs that have tried this product. The reviews were positive and I now felt prepared to give this a shot. Beauty is skin deep. And as Jessica Alba, Braun Beauty ambassador puts it- Braun face gives women the confidence & freedom to either wear makeup or not. So lets see, how this product got close to its claims! 3. Swapping the cleansing head with the epilator head slightly tricky as its a no-twist mechanism where you directly pull the heads to swap. 1. I used a face wash on my face and then used the cleansing option for about 5 minutes. 5. No irritation was felt post cleasing and I can easily use this thrice in a week, or maybe daily in summers. 6. I will post my experience after continuous use in a few days. 1. This epilator is meant for the face, but I am such a chicken. I have never used any products to pull hair from my face. Yes, I dont even do my eyebrows, thanks to my genes, I dont need to. So how did I test the epilator you ask? Well, I used it on the fine hairs on my fingers. 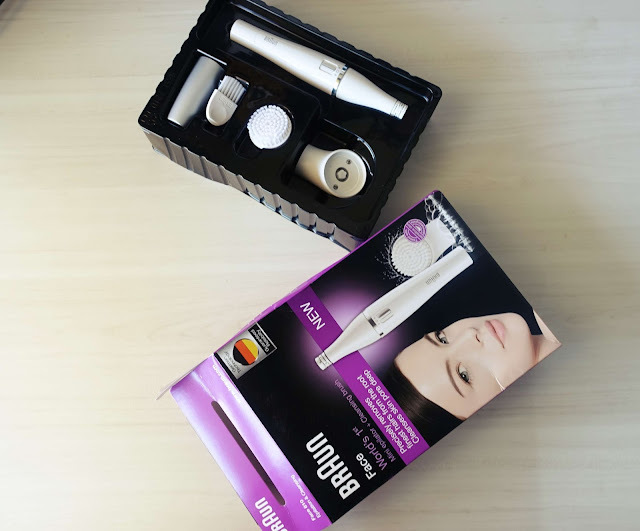 The epilator head can move in two directions, clockwise and anticlockwise and you get the hang of it once you notice the direction of the hair against which you need to run the epilator. Each pull feels like a quick sting , but no pain thereafter. You might feel a little tenderness at the spot but within minutes , that feeling is gone. And what precision! Much better than a razor for such fine hair. I stayed hair-free for 2 weeks and saw very little growth in the 3rd week. 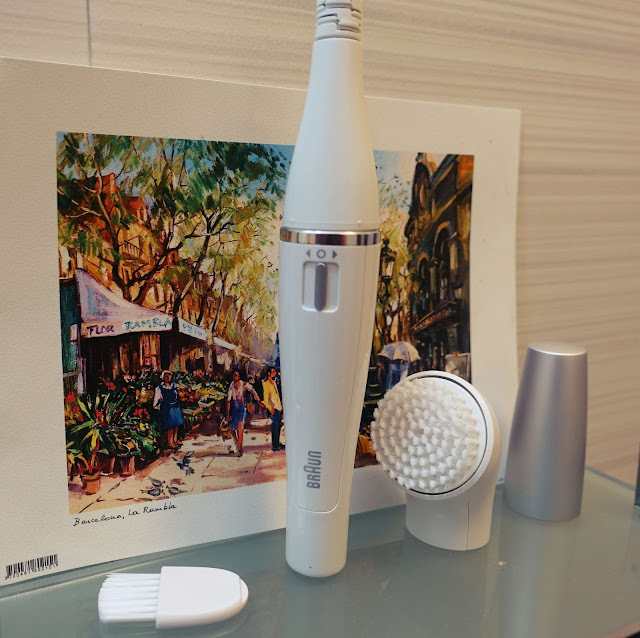 Verdict: And yes, I dont call it the final verdict because I am still using the cleansing brush and need to be more regular with it. So yes, to remove makeup, impurities , from the skin, this cleansing option technically does a better job than regular cleansing with your hands. The epilator certainly will surprise you with its ease of use and results. Its a win-win situation as both attachments are extremely useful and do their job well. I still feel the price tag of 4900, might be a little steep for the Indian market. 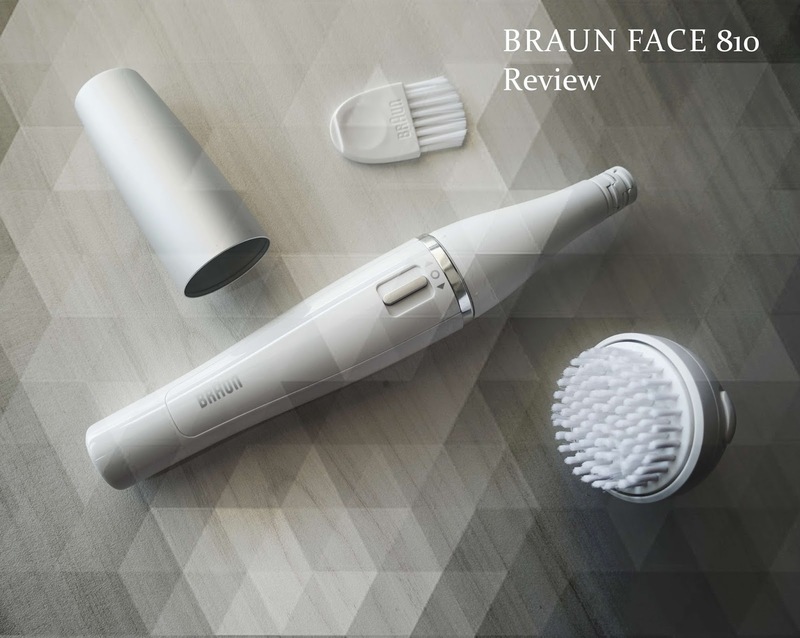 The cleansing brush needs to be replaced every 3 months as recommended however, I couldnt find refills in the market, so I will be checking with Braun on this. This Face 810 is certainly a keeper and takes grooming to another level of ease! You must give it a go!